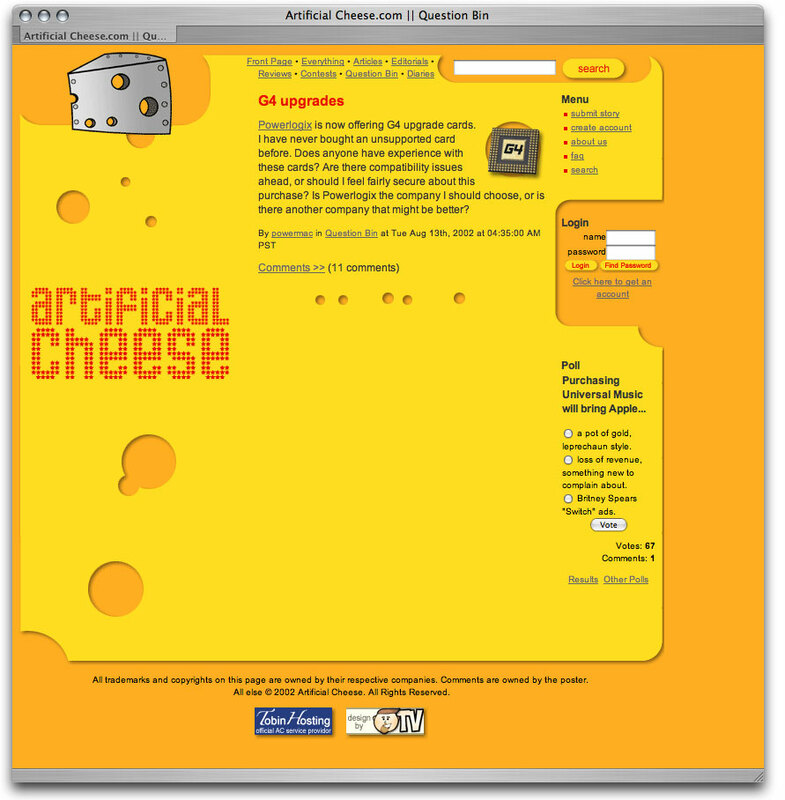 Artificial Cheese is no longer an active project. It was fun while it lasted, but kids need to grow up sometime (yes, even very, very, immature kids). All trademarks and copyrights on this page are owned by their respective companies. Comments are owned by the poster. All else © 2002 Artificial Cheese. All Rights Reserved.